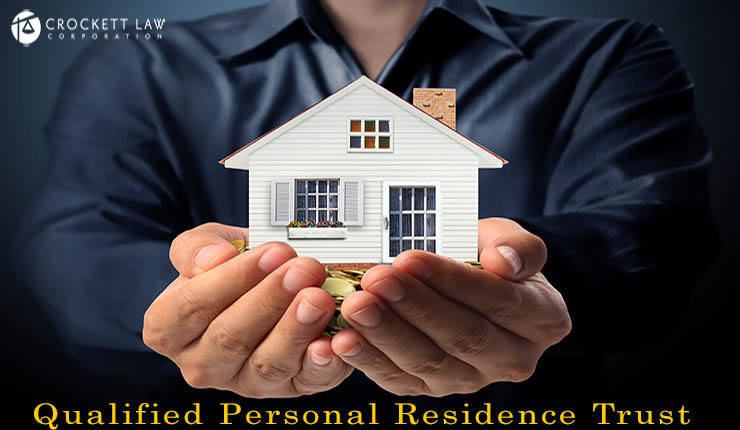 A Qualified Personal Residence Trust (also known as a “ QPRT”) is an irrevocable trust which a homeowner establishes to make a future gift of his home to his or her children while retaining the right to continue living in the home for a defined number of years. At the end of that period, the home transfers to the remainder beneficiaries who are typically the homeowner’s children. The right to continue living in the home is the “retained interest” and the beneficiaries’ interest is the “remainder interest”. The remainder interest is a reportable gift and effectively removes the house from the homeowner’s taxable estate. The QPRT takes advantage of provisions in the tax law that allows the gift to be reported at a discounted value. John Doe, a widower at age 67, owns his home which is worth $1 million. He has a life expectancy of 15.2 years. He expects that the house will be worth $1.5 million in 15.2 years. He has other assets which total over $5,325,000, the amount of the federal estate tax exemption. If he keeps his home until he dies, then it becomes part of his taxable estate and will be subject to estate tax of 35% on the $1.5 million value at his date of death. $1.5 million at the 35% tax rate would be $525,000. He wants to transfer the ownership of the home to his children and avoid the estate tax by getting it out of his estate. He establishes a QPRT which provides that he may live in the home for 10 years. Although the house is worth $1 million, the gift amount is the present discounted value of the remainder interest left to the remainder beneficiaries which under complicated computations would be about $265,000. This avoids using up a much larger amount of the lifetime gift exclusion by having to report the gift at $1,000,000. This discounted value is pursuant to special valuation rules for this situation as defined in IRC §2702 and the regulations §25.2702-5. Assuming he survives at least 10 years, the house is entirely out of his taxable estate and estate tax of $525,000 is saved. Save estate taxes removing the home from the Trustor’s taxable estate. As illustrated above, the house is removed from the estate at a discounted values before death so the value of the house is not subject to estate tax. Also, by getting it out upon formation of the trust, any appreciation in value escapes estate tax. Follows the typical plan of house distribution. In a typical family situation, the Trustor would have transferred the home to his children upon his death. Most living trust documents provide this. By transferring the house through a QPRT, the same objective is accomplished with no change in the Trustor’s living situation. Trustor can still reside, even after the trust ends. The Trustor is able to continue to reside in his house for the term of the trust and the trust can provide that he can rent the house back from the remainder beneficiaries even after the trust ends so he doesn’t have to move out. Not limited to primary residence. In addition to the Trustor’s primary residence, a 2nd home such as a vacation cabin or condominium may be used, or even a yacht. Survival requirement. The Trustor must survive past the end of the term of the trust. If he dies while the trust is still going, the entire value of the house is drawn back into his estate because he still retained control of the property. Thus, the realistic life expectancy of the Trustor must be considered in determining how long to make the trust term. The longer the term, the lower the use of the gift tax exemption and the higher the estate tax savings. Higher capital gains when heirs sell the house. Since this is a gift during Trustor’s lifetime, the tax basis of the house carries over to the remainder beneficiaries. Thus, the remainder beneficiaries would have capital gains tax to pay if they resell the house after the trust ends. The tax basis of the house is what the Trustor paid for it and the capital gains tax is approximately 30% combined federal and state. So, for example, if the Trustor paid $200,000 for the house and the remainder beneficiaries sell it for $1,000,000, they will have capital gains of $800,000 and a tax of $240,000. However, if the $1,000,000 house remained in the Trustor’s estate (if the QPRT were never established), the estate tax would be at 35% on the $1,000,000 date of death value which is $350,000. Formation documentation. A QPRT is established by preparing a Declaration of Trust of the Qualified Personal Residence Trust. The owners of the house are the Trustors and they may also serve as the Trustees of the trust for the period which they occupy the house. However, the trust should provide that when their occupancy ends a new trustee should be provided for so the IRS won’t claim the Trustors have a “retained interest” or “retained powers” which would cause the house to be part of the Trustors’ taxable estate for estate tax purposes. Aside from the typical trust provisions for any trust, there are various technical provisions and requirements which have to be written into the trust in order to qualify for the tax benefits. The provisions and requirements are custom drafted to suit the family and trust circumstances. Appraisal. Once the QPRT Trust is prepared, and before funding, the remainder interest must be appraised so the amount to be reported on the gift tax return is determined. Funding the trust. The trust must obtain a federal tax id# just like any other irrevocable trust. Then a trust bank account must be opened and the house in question must be actually transferred into the trust by a grant deed. Preliminary change of ownership report. This report goes to the county tax assessor and is presented to the county recorder along with the grant deed. 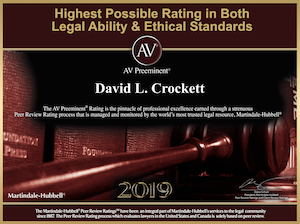 Since this is a transfer to an irrevocable trust for the benefit of the Trustor, it should be exempt from reassessment under proposition 13 rules as long as the Trustor retains the right to use and occupy the house. CA Rev & Taxation code §61. However, be aware that the county assessor may want to review the QPRT declaration of trust. Ongoing. The Trustor will need to pay the property taxes, insurance, utilities, maintenance and repairs during the term of the trust. Gift tax return – (form 709) for the year of formation. The assets contributed to the QPRT must be reported by April 15 of the year following the formation and transfer of the house into the QPRT. The amount of the gift is the appraised value of the remainder interest in the house which must be supported by an appraisal attached to the return. Fiduciary income tax returns – (forms 1041 and 541) are required to be filed by April 15 of each year to report the income of the trust. This is no different from any other irrevocable trust. Since this is a “grantor trust” for tax purposes, any income earned by the trust is reportable by the Trustor on his personal income tax returns, forms 1040 and 540.